Brian Combs, a suspect accused of hiding his biological daughter’s location from authorities, has just been released from jail by a Superior Court judge and restricted to house arrest. In a major win for the defense, Brian Combs’ attorney was able to successfully negotiate his client’s release from jail. Combs has now been restricted to home confinement, but he will still be authorized to go to work and meet with his attorney. He will be required to wear an ankle monitor and report to court for every scheduled appearance. Brian Combs is facing two serious charges including fourth-degree obstruction of justice and third-degree interference. If convicted of interference alone, Combs could face up to five years in prison. Brian is accused of hiding his biological daughter from both her adoptive parents and the police. It all started back on March 22nd after 17-year-old Ashley Combs never returned home from school. She was reported as missing, and investigators were actively searching for her. According to Linda Roszel, the 70-year-old roommate of Brian Combs, Ashley had been in an argument with her adoptive parents. Roszel explained how Ashley’s adoptive parents did not like her boyfriend, and Ashley was determined to get out from under their household. Ashley will be considered an adult when she turns 18-years-old in only three short months. A spokesperson for the Toms River Police Department, Jillian Messina, confirmed that the recent ordeal has revealed “concerns about Ashley’s home environment.” Ashley’s story has led to a referral to New Jersey’s Department of Child Protection Services. According to investigators, Combs assisted his daughter with hiding from her adoptive parents and the police by moving her between multiple homes. When she was eventually discovered on March 27th, she was hiding underneath a bed in the Brian Combs’ home. Two additional individuals have been charged as a result of hiding Ashley’s location from the authorities. Linda Roszel, Brian’s roommate, has been charged with interfering with the custody of a minor and obstruction. Ashley’s biological mother, Mechelle Combs, has also been charged with obstruction. If you are wondering about adoption, child custody, custodial rights or other legal questions related to parenthood, you need to speak with a qualified attorney. The New Jersey family law attorneys at Rudnick, Addonizio, Pappa & Casazza PC represent clients throughout the state, including East Brunswick, Hazlet, Keyport, Union Beach, Holmdel, and Atlantic Highlands. 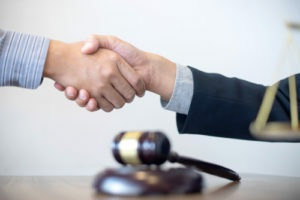 We understand how challenging this time can be for you, which is why we will fight hard to protect your interests, and the interests of your loved ones, throughout the legal process. Contact us at 732-264-4400 or fill out our confidential contact form to schedule a consultation. We have an office conveniently located at 197 State Route 18, South Suite 3000, East Brunswick, as well as offices located in Hazlet.